There are a few things you must have if you’re going to drive for a DC Limousine Rental service. The first is a lot of class. The second is killer reflexes behind the wheel. The third is a commercial driver’s license (known by the commoners as a CDL). I got my CDL when I was twenty-five. That’s young for a limo chauffeur, but all I’d ever wanted was to drive for a DC limo service. I can remember being a kid and seeing the limo drivers, and thinking they looked like James Bond, but without the guns. I wanted to be like James Bond, but I didn’t really like guns. Or being dropped in shark pools. Before I could get my CDL, I had to take a written test. It was 50 questions long, with an extra 20 because I wanted to drive passenger vehicles for over 16 people. I was a little nervous until I learned the DMV provided sample tests that you could print out and take as many times as you wanted. I took mine 14 times. Do you think I passed? Come on, guess. I’ll wait. Considering that I now drive for a DC limo service, you should’ve been able to guess that I passed on the first try. I was only allowed to practice driving with a DC limo service driver who already had his CDL. That was my friend, Bradford. Bradford bravely rode shotgun while I learned to maneuver our limos, our mini bus, party buses, and even our big coach tour bus. After that I decided on a new rule. No Leo impressions behind the wheel. He also took me through all the bullet points I had to meet to get my CDL. There were many more requirements than I needed for my state DL. It wasn’t only the expected things, like being 18 years of age and passing a vision test. There were a lot of questions about my personal health and identity. They wanted to be sure—really sure—that I was a good guy (and that I wouldn’t drop dead behind the wheel). Did you know you have to bring your own vehicle to a CDL road test? It’s BYOV. I also had to bring my own DC limo service driver who already had his CDL. It’s BYODCLSC. That was Bradford. But I passed with flying colors. After the test, I asked my examiner if he thought I drove like James Bond. He said he hoped not, because James Bond drives off cliffs and causes explosions. I noticed Bradford do a slow, silent facepalm. And that’s the story, friends. 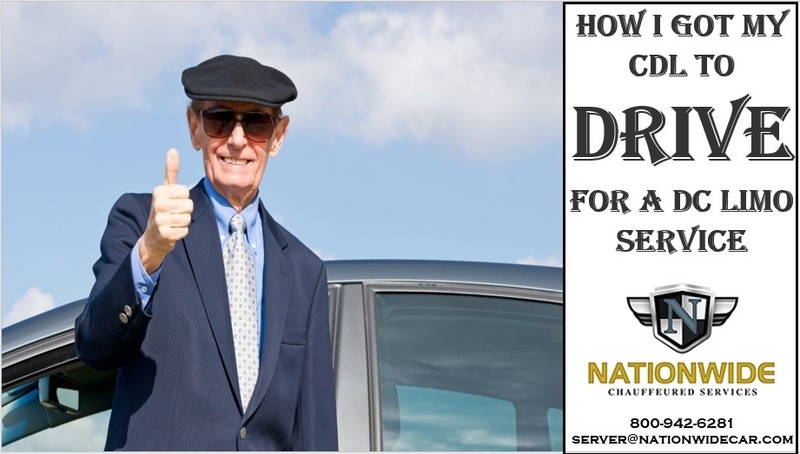 That’s how I got my CDL and became a fully licensed, highly skilled, super suave DC limo service driver. * About the road kill thing . . . just kidding! There’s no road kill question on the test! There probably should be, though.